Finally the fog has lifted! Fishing was decent this past week when we could sneak out past the fog. 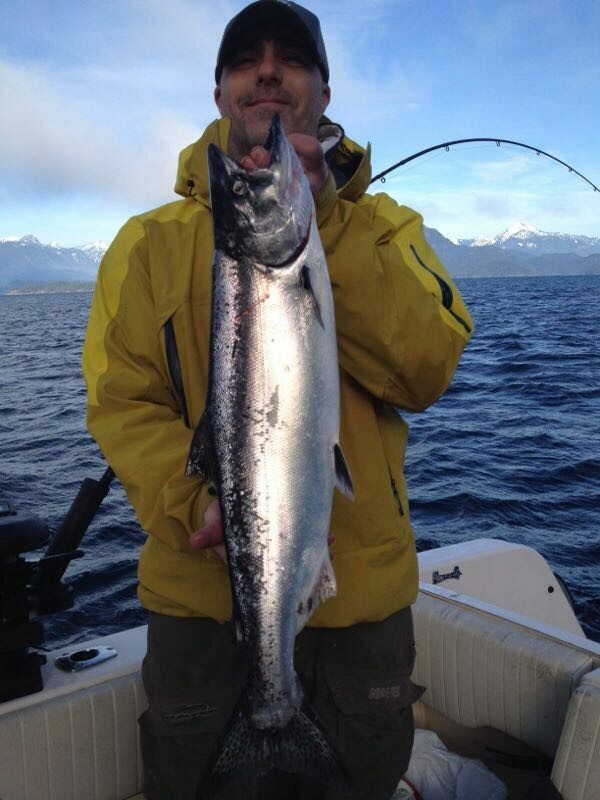 Eddie headed up Howe Sound and was into some nice fish this week. Captain Eddie’s guests holding up some nice keepers from a trip earlier in the week. 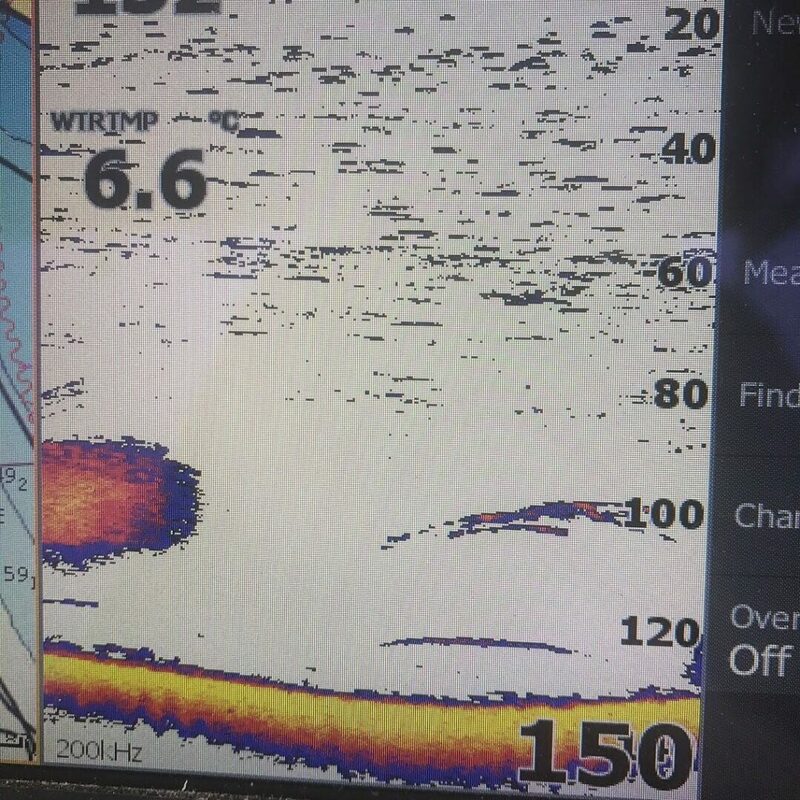 I fished the Bell for a half day on the weekend and got into some fish as well. 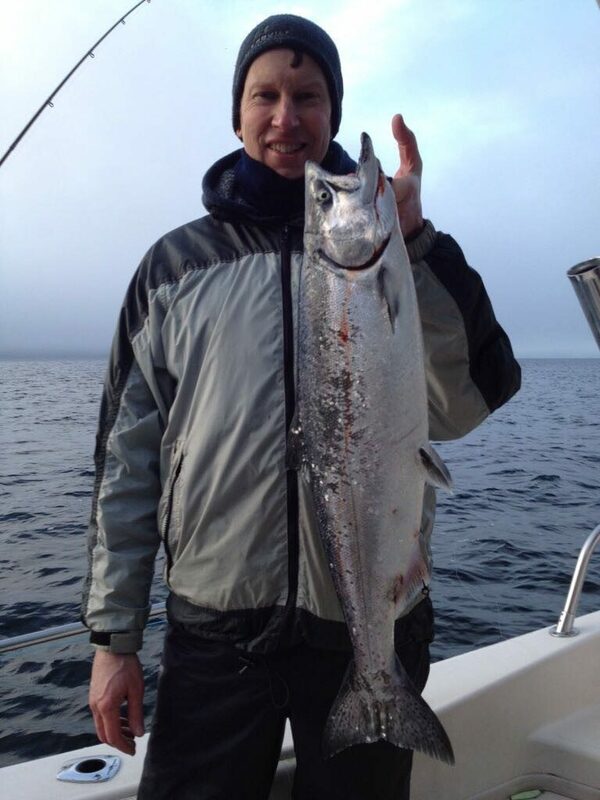 The fish I hooked at the Bell were all undersize, but there was lots of bait and some nice arcs on the sounder. Perhaps if I had a bit more time I would have found a legal fish. 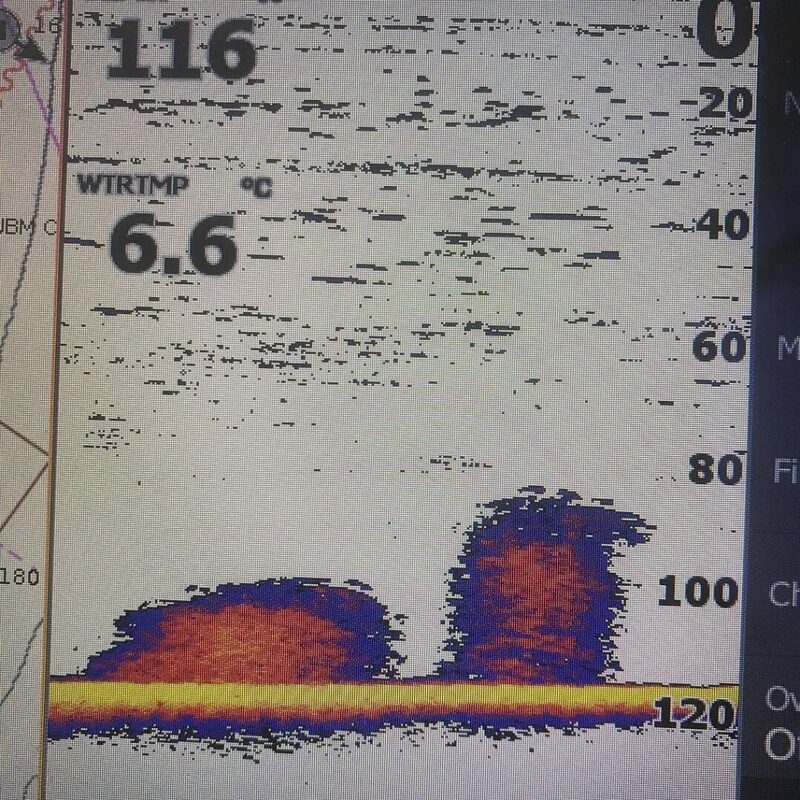 Some nice bait balls and arcs at the Bell this past weekend. As usual, flashers and spoons fished near the bottom have been producing well. In last weeks report I went into specifics on some very productive flasher and spoons to use. Check out last weeks report here! The winds don’t look to bad this weekend but it does look like it will be a bit rainy with the SE wind coming in. Get the hot coffee out and the heater and head out there, the fish are around, all you have to do is put in the effort.